Here's a hint: Never race a Guzzi. Unless you are rich. And patient. After a few years of racing other stuff, I'm finally back to the Guzzi Superbike. This is a 82x90mm (1040cc) race motor that I've been playing with for a few years. The result: 83 hp/66 ft lb! I dynoed the 82mm x 90 motor that is currently in my '78 Lemans. 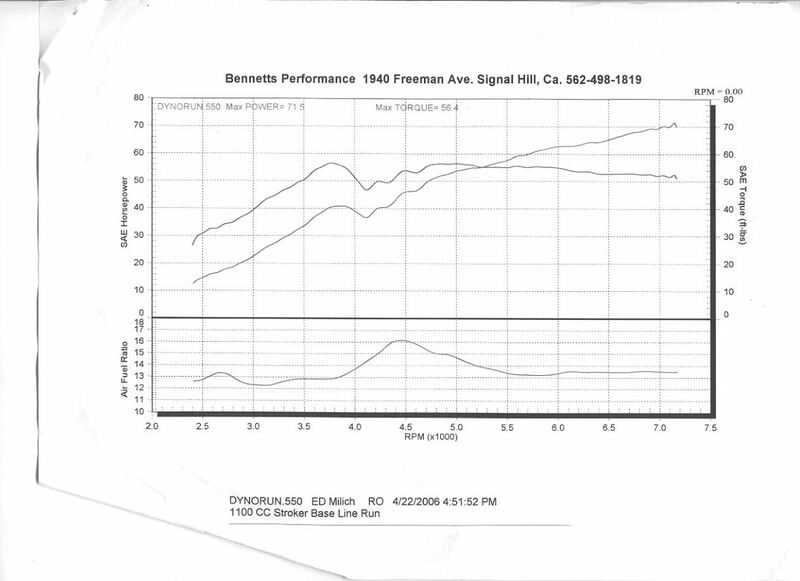 The dyno operator only took it up to 7000 RPM because it was a fresh motor. Note that the torque and power curves have yet to flatten out, which means there is plenty more power there...you just have to rev it to get it. Unfortunately, I didnt get to see what was there for the brief monent in time when it was running. Specs: 82mm stroke, 90mm bore roundfin motor. Lemans heads with port work, standard size valves, Megacycle 620x8 cam, chromemoly pushrods and a bunch of other bling parts like Diamond Like Coated (DLC) lifters, increased oil blowoff pressure, etc, to make it all work. Note that there is no torque below 3500 RPM. Unfortunately the bike banged some valves soon after this run, which set me back a week. Then it scored a piston after 20 minutes of track time,due to me trusting the boring shop to know what to set the clearances to. Never assume...This set me back 5 months while JE made me some pistons. It's still not together. 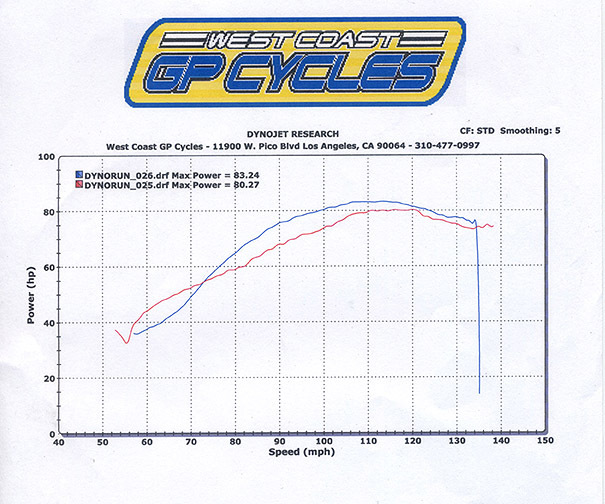 I'll post some dyno runs when it is.